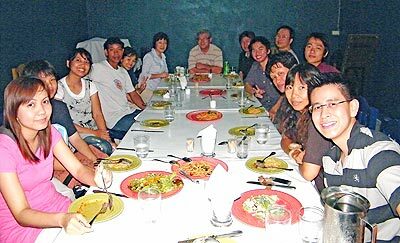 Nattadanai Sithilor, (5th right), chairman of the Aikido Club at Chiang Mai University, recently hosted a ‘thank you and farewell’ dinner party for Takao Hottori and his wife, (5th, 6th left), at West Restaurant’s new premises on Sirimangklajaen Road. Col. Arthaporn Paoprachak, commander of the 5th Special Warfare Regiment, recently hosted the regiment’s 26th anniversary celebrations at their base in Mae Rim. 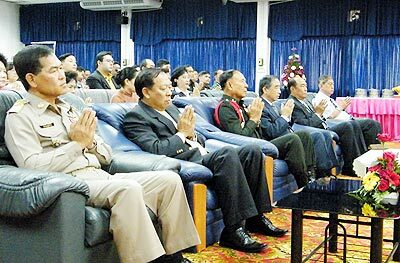 Invited to preside over the day was the Special Warfare Command’s former deputy commissioner, Gen. Tharin Sutapaha. Pictured at the event are guests of honour including Gen. Amornrit Paetcharoen, former commander of the 5th Special Warfare Regiment, and the deputy Chiang Mai governor Pairoj Saengphuwong. 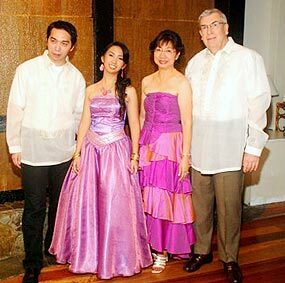 A memorable family occasion – the 18th birthday ‘coming-out’ party held recently in Manila for Archariya, the daughter of well- known Chiang Mai personality Dr. Carolina San Miguel Thompson, Phd.. With the beautiful birthday girl, 2nd right, are her mother, step-father Charlie and her brother. Chiang Mai University’s Faculty of Associated Medical Sciences recently celebrated its 52nd anniversary by hosting activities and a merit- making ceremony, presided over by the Dean of the faculty, Asst. Prof. Dr. Udomsak Huesingchaoen. A therapeutic and relaxing ‘Harp and Flute’ concert was arranged recently for out- patients at McCormick Hospital, featuring Payap College of Music teachers Annette George, left, and Judith Utley. 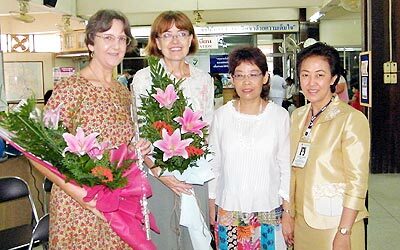 After their much-appreciated performance, the duo were presented with bouquets by the director of the hospital, Atchara Chianwichai, right, and the dean of Payap’s music college, Dr. Pannee Auansakul, 2nd right. 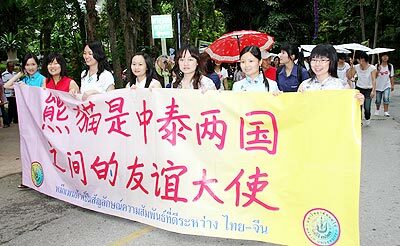 Second year Chinese students at Mae Jo University, led by Ajarn Chodok Charungkhon, deputy dean of tourism development, pictured taking part in the Home Coming ceremony for the baby panda held recently at Chiang Mai Zoo.